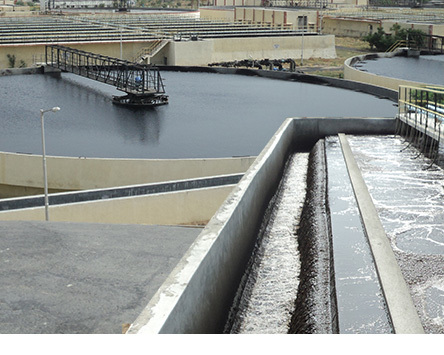 Sewage is generated by residential, institutional, commercial and industrial establishments. It includes household waste liquid from toilets, baths, showers, kitchens, and sinks draining into sewers. In many areas, sewage also includes liquid waste from industry and commerce. The separation and draining of household waste into grey water and black water is becoming more common in the developed world, with treated grey water being permitted to be used for watering plants or recycled for flushing toilets. 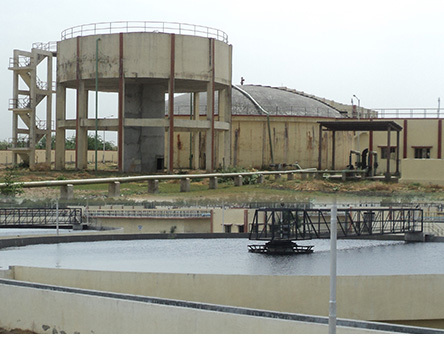 Sewage treatment is the process of removing contaminants from wastewater, It includes physical, chemical, and biological processes to remove these contaminants and produce environmentally safe treated wastewater (or treated effluent). A by-product of sewage treatment is usually a semi-solid waste or slurry, called sewage sludge, that has to undergo further treatment before being suitable for disposal or land application.